SUNNYVALE, CA - Infinera, provider of Intelligent Transport Networks, announced the appointment of Rajal M. Patel to the board of directors of Infinera, effective September 17, 2015. Mr. Patel brings more than 20 years of experience in scaling cloud infrastructure for consumer Internet, SaaS and other service providers globally. Since March 2014, Mr. Patel has served as the head of cloud engineering at Pinterest. Prior to Pinterest, Mr. Patel served as senior vice president for technical operations at Salesforce.com from July 2013 to December 2013. Mr. Patel was vice president for cloud services engineering at Cisco Systems from April 2010 to July 2013, and held various engineering and management roles at Yahoo! Inc. from 2004 to early 2010. Infinera provides Intelligent Transport Networks, enabling Internet Content Providers and cloud network operators to scale bandwidth while accelerating service innovation and simplifying optical network operations. To address the fast growing market for datacenter interconnection, Infinera introduced the Cloud Xpress platform in late 2014, the industry's first server-like rack and stack wavelength division multiplexing (WDM) platform. 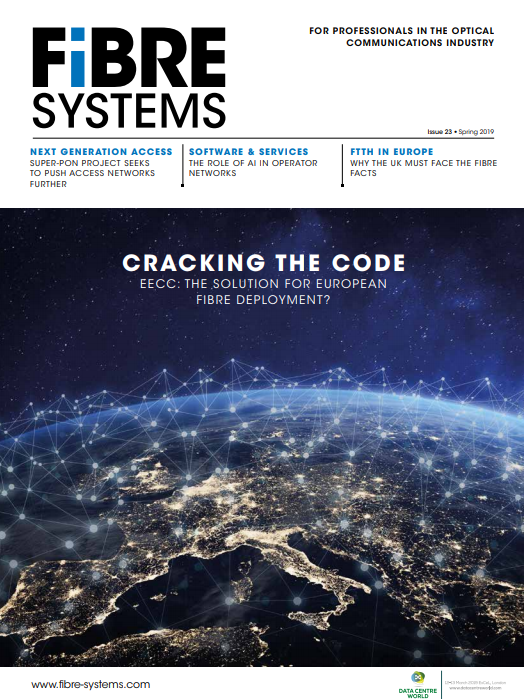 Industry research firm Ovum named Infinera the number one provider of datacenter interconnection solutions to Internet Content Providers and Carrier Neutral Providers worldwide, and named Infinera as the fastest growing company in the datacenter interconnection market worldwide. The addition of Mr. Patel to the board of directors broadens Infinera's cloud networking experience as the company seeks to grow share in this rapidly expanding market. "We welcome Raj to our board," said Kambiz Hooshmand, chairman of the board of Infinera. "Raj has played key roles in building cloud network infrastructure at several major technology companies and brings a unique perspective on how end users, content providers and network operators are transforming to stay ahead of this market. His perspectives should be particularly useful as Infinera continues to introduce new solutions for cloud network operators." "The cloud represents a significant and growing market opportunity," said Mr. Patel. "Infinera is very well positioned to capitalize on the growth of cloud network infrastructure. I am excited to join Infinera at this important stage of cloud network transformation and I look forward to working with the team to develop Intelligent Transport Networks that are optimized for the evolving requirements of cloud network operators." Infinera (NASDAQ: INFN) empowers network operators to quickly deliver differentiated services by enabling an infinite pool of intelligent bandwidth. With the recent completion of its offer for the shares of Transmode, Infinera now offers an end-to-end packet-optical portfolio to fully address the WDM networking market including long-haul, subsea, cloud and metro. Infinera leverages its unique large scale photonic integrated circuits to deliver innovative optical networking solutions for the most demanding network environments. Deployed across the globe, Infinera Intelligent Transport Networks enable carriers, cloud operators, governments and enterprises to accelerate service innovation and simplify optical network operations. To learn more about Infinera visit http://www.infinera.com.